Taking the products we offer into account and the distances involved, we cannot accept returns or offer refunds simply because of a change of mind. 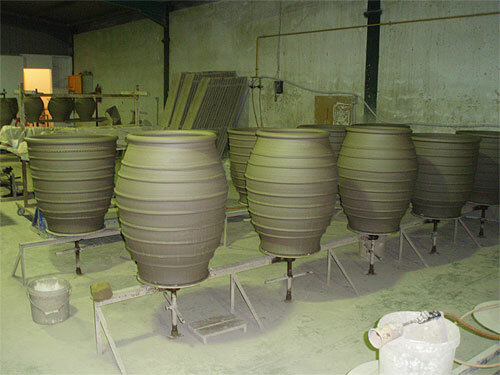 We pride ourselves that every pot has been inspected both in Crete and here in Australia before dispatch, therefore we do not anticipate problems with manufacture. We will then investigate and, if justified, will offer either an exchange or a refund. This policy is designed to comply with your consumer rights both in terms of statutory warranties and statutory conditions under Australian Consumer Law. Since our products are manufactured by hand in Crete and arrive in Australia by sea, there is the possibility that a particular item featured on the site is not immediately available. Should this be the case and you have placed an order for such an item you will be contacted to discuss the situation as soon as we are able. These Terms are governed by and will be construed in accordance with the laws of Australia. Any disputes arising under or in connection with these Terms and Conditions shall be subject to the non-exclusive jurisdiction of the Australian Courts. The contents of these pages, unless otherwise stated, are © of The Grecian Urn. Reproduction of part or all of the contents in any form is prohibited.